Our renovation of the Gadsden House at 329 East Bay Street in Charleston is making great progress and within short order will begin to more closely reflect the time it was built in the early 19th century by the Gadsden family. Homes, grand or otherwise, are transcendent. They generally outlive us all at least if properly built and ignoring fire and pestilence. 329 East Bay is no exception, and the history of the Gadsden family and their role in Charleston has merit to tell. Let's start with the patron – Christopher Gadsden. He started life as a subject of His Britannic Majesty King George, son of a British Naval Officer he joined the local militia and fought the Cherokee on our behalf. All pretty stock stuff on the then frontier of the new world. He was a merchant trader and then things started to get interesting as the American Revolution took hold. He sided with the winners though the Brits locked him up for a while which no one really liked much. 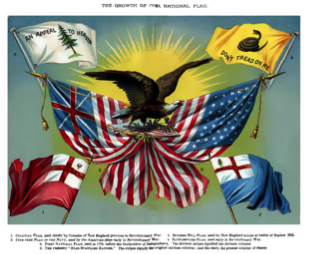 Along the way he doodled a flag that really caught on and is still used – "Don’t Tread On Me" – an appeal to the monarchy to recognize the independent nature of the British now residing on American soil, and as a naval standard for the first ships intercepting British transports. Christopher Gadsden left a sad epitaph. He was in part a slave trader, and an active one at that. Gadsden's Wharf and Gadsden's Inlet (north of Sullivans Island) are remembrances of that time. Slaves were held in quarantine off the coast of Sullivans Island then shipped to Gadsden's Wharf. An estimated 100,000 souls passed through the holding pens on the wharf between 1783 and 1808 to be sold on the block to the plantations of the lowcountry and other southern states. Lets not dwell further here, as the lifestyle of the pre-Civil War slave trader is indisputably not one that can be justified in any way. Now here is an interesting chap. Christopher Gadsden's grandson (one of a few), wealthy from the get go, plantation owner with all that goes along with that title at the time. Army officer and diplomat, not one to be idle he achieved quite a lot before his demise just before the Civil War. Our James here did not like American Indians much, especially Seminole. He helped them transition along the Trail of Tears from warm, fertile Florida to alternately dry or freezing Oklahoma. I think that decision was rather one-sided but history is generally written by the winner so perhaps we’ll never know. Fresh from those exploits and besides plantation farming in the Lowcountry and Florida he also tried to set up in California, an unbelievable distance away at the time. His enduring legacy is probably the Gadsden Purchase. For $10M (about $400M in todays terms) he bought southern Arizona and New Mexico from a certain Snr Santa Anna of Alamo fame (he needed the cash at the time). A pretty good deal for posterity and unbelievable $1.25M per square mile in modern money! On his demise, his plantations were broken up and sold at auction on Broad St, Charleston, leaving many families substantially hurt in the process. As a family there was at least some atonement. Rev Christopher Edwards Gadsden was Christopher Sr.'s grandson. He managed to become an Episcopal Bishop of South Carolina in the first half of the 19th Century. His brother, Rev Philip Gadsden, Senior’s grandson and son of another Philip Gadsden was also an Episcopal Minister here in Charleston. Full marks for piety! The family carried on well into the 20th Century and still does in some form or other, spread to the winds as we all our. There is far more information out there and much of it available on line. Their lineage and marriage partners are a "Who’s Who" of plantation and city life where sons and daughters of the wealthy were married off in carefully organized and negotiated fashion. Travel the sidewalks of Charleston and you will find all their names on the street signs, power brokering and dynasty building until war and modernity broke the established paradigms of the day. Still, in my mind's eye, I return to the grand Charleston Single house we have purchased, its timeline and future. As I said, we only briefly leave a mark on these great residences for a while before passing it on. I wonder how history will remember our time and our achievements and will they judge by the standards of their day or ours? Find out more about our renovation project underway at the Gadsden House, then find out more about the capabilities our historic restoration team can bring to your restoration project. Gadsden House historic renovation - A disturbing discovery?